This is the Citizens New Model Militia, the police and military of our glorious Parentland. The role of the CNMM is to provide a safe and secure state by protecting Citizens from crime and attacks from subversive elements; destroying enemies of the State; and making the wonderful streets of our Parentland safe and secure. At the heart of the Militia are the Militia Ranks. These fine body of heroes are martyrs to the cause of the State, ready to die for Purityranny. At the head of the Citizens New Model Militia is the War Cabinet, constructed of the Supreme Minister , the First Committee of State, and the leading group of Citizen Generals, who together organise and command the glorious heroes of the State. Advising the Citizen Generals of the are the sinister operatives from Limited, the code name of the Militia Intelligence Corps. The code name originated from subversive pamphlets distributed by a former dissident, who incorrectly surmised that the two words intelligence and Militia should never be combined in the same sentence unless qualified by correct description. He has time to reflect on this error during his prolonged stay in the Labour Camps of the Winterland. The Militia treats all Citizens with impartiality and maintains the highest standards of civil order. We provide a comprehensive range of persuasive techniques: from Corrective Therapy for confused Citizens; deportation for subversives to labour camps in the Winterland; to public executions of Party traitors (held on the first Sunday of each month and every Bank Holiday - tickets available from all Militia stations). The Militia carries out duties on behalf of every branch of the State. 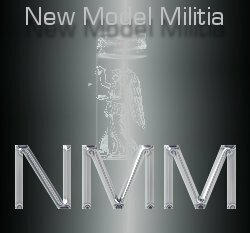 The Lord Protector is Commander of the New Model Militia. Remember Citizens, the Party is watching. The Party is listening. The Party knows all.